This recipe is for onion rings. 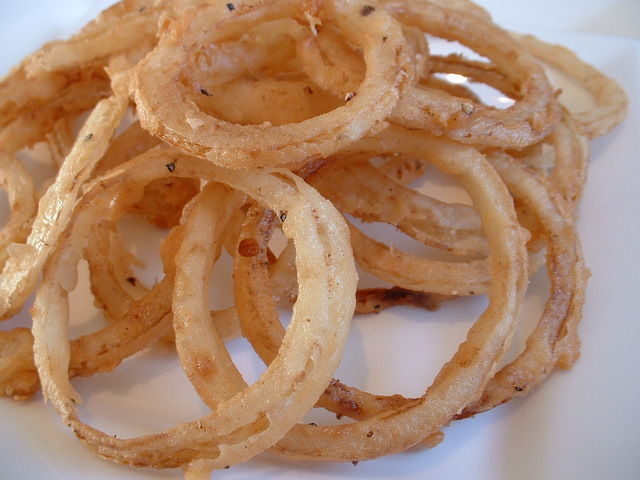 This onion recipe makes onion rings that make a great garnish for steaks and beefburgers. Peel the onions and cut across the onion into 2mm slices. 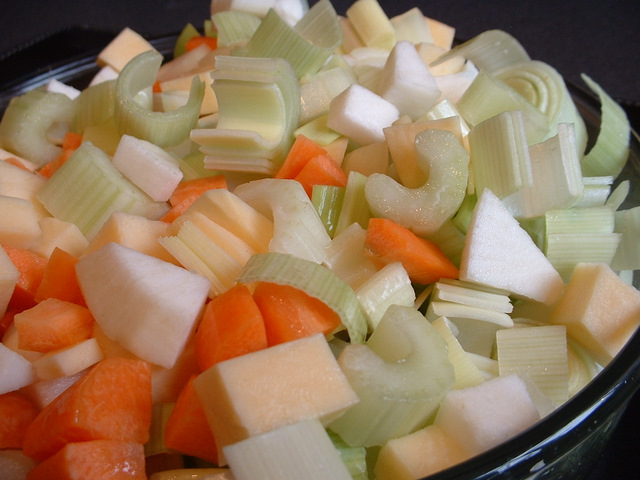 Take extra care with cutting, as the onion will be round and may move as you cut across it. Hold it firmly on your board. Using your fingers, separate the sliced onion layers, hopefully leaving you with onion rings. Season the flour with salt and pepper. Place into a dish. Pour milk into another dish. Heat enough oil in a heavy-based saucepan to deep fry the onions to about 180°C. Pass the rings through the milk and into the seasoned flour. Shake off any excess flour and carefully lower the onion rings into the hot oil. Fry for a few minutes until the onions are crispy and golden in colour. Don’t try to fry too many in one go. When crispy and golden, remove the onion from the oil and drain on kitchen paper. Serve hot. Onions are not only a very tasty vegetable, but make a very good garnish for your steaks, beefburgers, etc.